I decided to interview Dr. Smith (25-minute audio: click on red words at the bottom of this introduction to play it) because, although there is some information about these foods and supplements, you don’t hear much from the medical profession…and the research I’ve seen suggests significant and substantial improvements to health and a reduction in medical disorders from them. Therefore, I wanted hear from a medical researcher and MD what the real benefits are. The interview revolves around the latest research findings on vitamin D, resveratrol, pomegranate juice, dark chocolate, green and black teas, and testosterone. Dr. Michael Smith is a medical doctor with specialties in radiology and internal medicine, and currently serves as the clinical information specialist with “The Life Extension Foundation”, (LEF.org), a non-profit organization devoted to researching and disseminating information on preventing disease and medical disorders. Dr. Smith has been with The Life Extension Foundation for nine years. He received his MD degree from the Southwest Medical Center at the University of Texas in Dallas. In the interview, Dr. Smith makes it very clear that the only way to accurately determine: 1. The appropriate amount of vitamin D to take for optimum health (5-8,000 International Units), 2. What percentage of cocoa solids your dark chocolate should have for optimum benefits (70%), 3. How much green tea you need to drink each day (unless you take a green tea supplement…18 cups), black tea…the new green tea, 4. 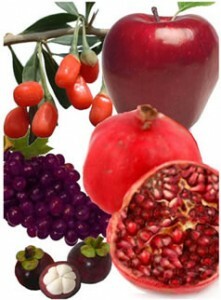 The benefits to the heart and prostate from pomegranate juice, 5. The benefits of proper levels of testosterone and how to obtain a physician who will prescribe testosterone for you (LEF Health Advisers will help you find a doctor in your area). To listen to this interview, please click on the following red link. Michael-Smith-LifeExt-Reversatol-DarkChoc-Tea-Testosterone Interview by Mike Russo.